This is one of the first videos in which we show our STEM Pack, which is mounted to the strap of the Oculus Rift DK2 to provide full position and orientation tracking for the user's head. STEM Controllers provide tracking for each hand. 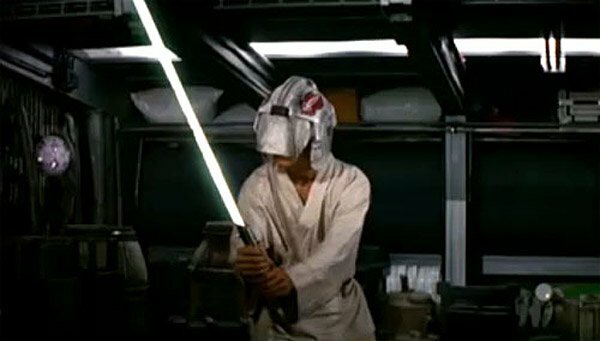 The lightsaber or sword is the true test for a one-to-one motion tracking system in VR, because it requires low latency, and almost perfect tracking of both position and orientation between your physical and your virtual self as you perform swipes, slashes, blocks and counters with the lightsaber. The STEM System and the SixenseVR SDK make this experience possible, and also make it easy for developers to create these types of applications quickly. The experience is a fantasy, but it feels natural because of the near-perfect hand-eye coordination that the SixenseVR SDK provides. Now all we have to do is wait for scientists to make real lightsabers. Get on it scientists! Quit slacking, there Jedi that are waiting! Stan Lee Thinks Samuel L. Jackson's Nick Fury Should be More "Samuel L. Jacksony"